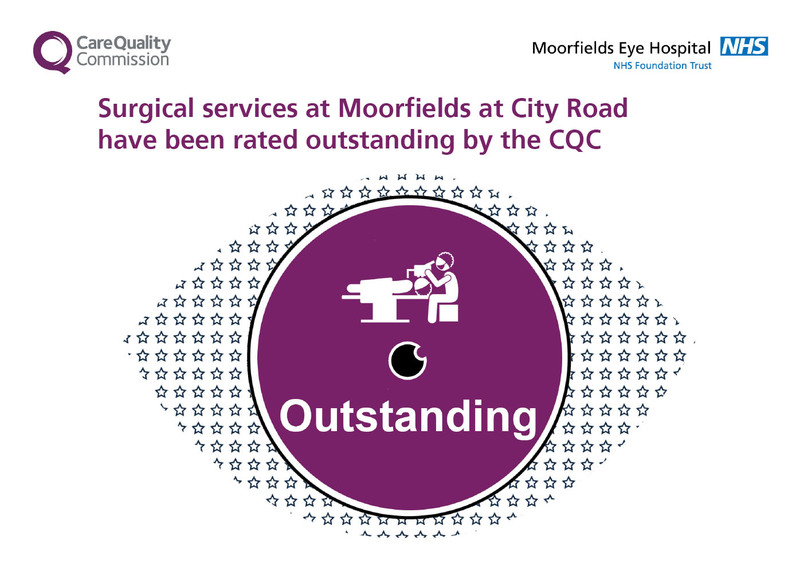 Moorfields Private has been recognised as being outstanding for surgery services by the Care Quality Commission (CQC). The CQC visited the admission suite at Moorfields Private during an inspection of private and NHS services at Moorfields City Road. Moorfields was awarded an overall rating of good and the CQC highlighted that all of the trust’s services were rated as either good or outstanding. It was rated outstanding for being effective because patient outcomes in many specialities were better than national and international targets and there was a drive to improve and identify best practice in care and treatment for patients. Moorfields’ collaborative and pioneering research study with DeepMind Health showing that artificial intelligence helped to diagnose eye diseases. “We are delighted that the effectiveness of our services has been recognised as being outstanding, and that inspectors observed this high level of care and expertise during their visits. Read the full report from the CQC. Moorfields Private is the London-based private division of Moorfields Eye Hospital NHS Foundation Trust. Its financial surplus is re-invested back into Moorfields to support NHS services.